Striker Gifton Noel-Williams made his Watford debut aged just 16 years and 247 days old. He then went on to become the club’s youngest ever goalscorer when he scored against Blackpool in November 1996. After becoming a regular in the first team and breaking into the England u21 squad, he was the victim of an ugly challenge which cost him a year of his career and led to further injury problems which hampered his progress. Now retired from playing and pursuing a coaching career, Gifton spoke to Watford Legends in 2018. Hi Gifton, thanks for talking to Watford Legends. You came through the youth ranks at Watford, how did you first become a Hornet? There’s a scout in London called Carl Dixon. I used to play for a team called Arvensdale, my Sunday team, and Carl was the coach of that team. He was the one that brought me to Watford and told them I was decent. I was about 12 or 13 so it was quite late. You made your debut when you were only 16. What are your memories of that? Yeah at Roker Park. It was fantastic. I only knew I was going to be on the bench about half an hour before it was time to warm up. Kenny (Jackett) kept it quiet from me. Keith Millen was sick, I was the extra man in the squad so I got on the bench. I was quite nervous but it was a good experience. Kenny put me on for the last 15 or 20 minutes of the game and I had fun! And then you broke the record for the youngest ever goalscorer for the club. Yeah it was a good start to my career. I had a coach in Kenny who trusted me and believed in me. I was playing in the first team, but it didn’t really feel like I was playing in the first team – it was just football if that makes sense? The following season, you were in the first team from the first game. Graham Taylor obviously had a lot of trust in you. When I knew that Graham Taylor was coming back, Kenny told me to work hard over the summer and come back strong. Me and my cousin Michael, who’s passed away, worked really hard over the summer. There was no drinking and going on holidays or all that kind of stuff. The only thing I wanted to do was play football every day and train. So that’s what I done all summer. I went back and I was fit, I was fitter than most of the players. I was a lot stronger, and I think Graham Taylor must have appreciated my work rate and my effort so he stuck with me. There’s a story about how Graham helped you out a bit when you were in the team and a young father. That was actually before I made my debut. I got told that Graham wanted to speak to me. I was due to have a kid in the next three or four weeks. I kept it quiet from the club because there was a boy at Leyton Orient that got released because he’d had a kid. So I was scared and thought I was going to get released. So I went to his office quite scared, expecting him to tell me, look, we’re releasing you. It was actually for him just to find out how I was doing really, and if I’m ok or if I needed anything. So we had a good conversation, like a father figure really. My dad died when I was 13 so it was actually nice to have that conversation with a man. He put me straight, asked me what I needed. I told him what I needed and he wrote me a cheque from his personal chequebook for the money I needed to go and buy a pram and a moses basket and all the stuff I needed to get. He was very happy and really cool with me. I thought I was going to get sacked and he told me he had got my back and was here to support me. I knew I had the club behind me and the coaches behind me. He was a real family man wasn’t he? He was. My mum loves him! She used to talk about him all the time. I come from quite a big family and he made everyone in my family feel welcome. My mum almost felt like she knew him personally! She probably did, she talked to him more than me! He was a great man. Kenny Jackett as well. Kenny’s another great person in the game, he done so much for me. I learned the most from them about how footballers should act, the way you should behave, how you should carry yourself and so on. I got those things from Kenny and from Graham Taylor. The following season you really seemed to come of age and started leading the line and getting some goals. Another preseason, another season where I knew it was going to get harder. I was told Graham Taylor was going to bring in a lot of players and a lot of strikers. So I worked hard again in the off-season. Didn’t go and party, didn’t go away, just worked hard. I just came back flying really. I came back stronger, fitter, quicker. I used to watch my games and the things I wasn’t good at, I’d practise them. I’d go to the park with my mates and tell them to rough me up and get them to smash balls at me and other stuff I needed to work on. I would take it upon myself to go and do it. I came back for pre-season on another level. Graham Taylor had bought a few more strikers, so I knew all of a sudden I would be on the bench because I was the youngest one. So I worked hard and it started to pay off, the season was good. I remember one memorable game against Bristol City when Watford were holding a one goal lead and you held the ball in the corner for what seemed like ages. That’s one of my funniest football moments. It was Graham Taylor that told me to keep it in the corner, so I couldn’t do anything else. It lasted for about four or five minutes didn’t it? It seemed longer, it seemed like for ever! It was funny with the defenders trying to get the ball and getting frustrated. A couple of them got booked. My time at Watford in general was a really good time. Even though it was sour intermixed with joy, my memories of Watford will always be great ones. Then came the game against Sunderland, who were leading the table. You scored a great goal in that game. Back then I was kind of fearless, I thought I could do anything (Laughs). Did Butler ever apologise for that challenge? As a fan, when we beat Leeds in the play-offs in 2006, Paul Butler played for them and there was extra joy for beating him. Heh heh, thank you, I like that! No, he never said sorry, but it is what it is. To be fair we had words during the game. He told me he was going to break my leg and to be fair he done it! Sometimes in football that goes on, but there’s not the intention to actually hurt you, but it sounded like with him he did. Yeah, he tried to hurt me. He done what he wanted to do. He went for me a few times that game. It was my fault as well, even though he tackled me I blame myself because I was too naïve. If I was my age now I’d jump! But back then I thought I could nick the ball cos I was quick back then. I thought I could get there before him, nick it past him, and I’m in. But he was an experienced guy and he slowed down and waited for me, and gave me what he told me he was going to give me. How did it feel when you got back into the team in the Premier League? It was wonderful, I can say I played in the Prem. The other side is I didn’t have enough of the Prem. With my arthritis, a lot of people don’t know what I went through. My right ankle swelled up after every training session, after every game. I used to get swollen feet just like an old person would get. All my joints would swell up after games. So if I played on a Saturday, I would start walking good again, maybe Tuesday or Wednesday. So if there was a game on Tuesday it was a case of wrapping myself up and going again. 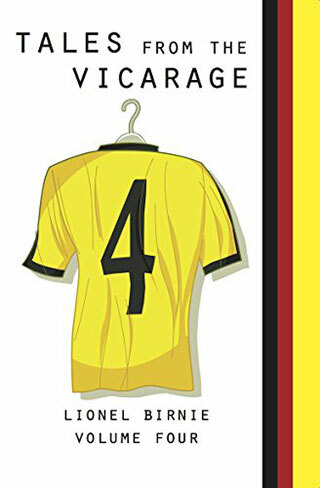 A lot of fans might have seen me towards the end of my Watford career limping and hobbling around the pitch and not giving the same effort I gave before. And maybe they thought I didn’t care or something. I just couldn’t do it. Especially in the cold months, I’m a waste of time! Even in normal life I find it hard to get about more than when I was playing football. The arthritis really took a toll on my body. And then you came back on a more permanent basis back in the Championship, and started really well that season. Yeah, things were going alright. It was Graham Taylor’s last season. I came back, I felt really good. But the wear and tear on my body, it became unbalanced. I had two groin operations in one season. I think altogether I spent about three years out. I came back and then I did my ACL! It was four or five years of turmoil and it all started with my arthritis. At the end of the season, Graham Taylor retired and Vialli came in. How did you find Vialli to play for? When Graham Taylor was manager, the gaffer was the gaffer. He was great. Then Vialli came in and to be fair I was quite excited myself. I was a striker and so I thought a man like Vialli coming in can only be good, and I can learn a lot from him. But I didn’t learn nothing at all. I learned more from him when he joined in training. I learned more from watching him than his coaching. Ray Wilkins was good, but Vialli didn’t know what he was doing really as a manager in my personal opinion. He brought in a lot of players, but he didn’t really understand the league. To be fair, I played quite a lot under him and I was doing quite well in some patches. And then I done my ACL. He brought a lot of new players and his rules were that my new players are going to play, and all the old players may get in if I need you. But then after ten games we were all back in the team cos we were training better than these other guys. Then Christmas came along and he took us all out and put the new guys back in. It was a very confusing time for everyone. As a player who had been there before, was there a difference in terms of the dressing room atmosphere? He was trying to change the culture of players without knowing what he wants himself. For example, I believe that he’d had managers make him do certain things as a player, and then when he became a coach himself he got bits and bobs of what others were doing. It didn’t flow. I don’t think he had a formula for what he was doing. The other coaches, the fitness coaches, it didn’t seem like they were singing from the same hymn sheet. How did you find Ray Lewington? Yeah Ray was cool. I liked Ray. He was the reserve coach so when I was coming back from my injuries I spent time with Ray. I thought Ray was a very good coach on the pitch, he made it very clear with what he wanted you to do. My own personal opinion is that Ray is a good coach but not a good manager. I thought he struggled on that side of it, being the number one and having to make all the decisions. But he was a very good coach. At the end of that season you moved to Stoke. How did that move come about? Stoke had wanted me before on loan, but I didn’t want to go. There was a lot of things going on in my life at that point and I didn’t really want to leave London. But towards the end of the season the chief exec pulled me into the office and explained to me that they would rather not offer me a contract, but if I wanted to stay they would offer me a contract, but the money I would be on would be peanuts basically. They also told me Stoke wanted me to they recommended I go to Stoke to try and get myself going again. So I took that choice and went to Stoke. How was Tony Pulis to play for? Watford had a footballing culture where we played football. Even if it was quite direct at times, we got the ball down when we could. I went to Stoke and it was quite the opposite. He didn’t want us playing any football, he wanted us to get it forward first, and then if we can, then we play football. So it was the opposite message which I found hard in the beginning cos I was used to Watford, and the managers that came in at Watford played the Watford style of football. But then to be fair, football is football, and you have to learn to adapt and get on with things. When you start seeing results, you might not like the style of football but you have to buy into it. With the squad we had, it made sense to play the style he was playing. It was very direct. There was me, Ade Akinbiyi and Carl Asaba up front, all over six foot, big and strong and those two are really quick, so it was a situation where the style the gaffer wanted us to play, it worked and was very successful. What I like about Tony Pulis is that he had his style of play. You remember I said about Vialli, he had many cultures in him, he didn’t really have his own way? Tony Pulis has got his own way. He demands you to play a certain way, with a certain style, with a certain amount of energy and a certain amount of appetite. If you can’t do that, you’re not going to play. It’s very simple, it’s not complicated at all. No grey areas. You work hard and you’re good enough, you’ll play. We knew on a weekly basis, just go and do what the gaffer wants and if you win or draw he’ll be happy. It was a good experience I really enjoyed it I must say. I only left Stoke because Tony Pulis left. When I left to go to Burnley, he told me they weren’t going to renew his contract. So because of that I went to Burnley. If I’d have known he was going to come back a year later I’d have stayed at Stoke! I had a good time working under him. You also had some time abroad in Spain? Yeah it was great, I learned another language, lived and played in Spain, got promoted to La Liga. I had a difficult experience with Elche where I didn’t get paid for a year, that was interesting. I probably would still be in Spain now if it wasn’t for the fact the economy went bust. All the clubs went broke and that’s why I didn’t get paid. I love Spain, I love Spanish football, the lifestyle, the people. Spain was lovely. I can say I was lucky I suppose. What took you to the US? I’d been in Spain and it was nice and warm over there, and I wanted to stay there. Because the club was messing me around and didn’t pay me I had to come back to England for three months, I played for Millwall and Yeovil for short spells, basically just to get myself fit. I went to America in the February and played for one season and then I called it a day. My body said that was enough. I was playing in America and was playing with young boys who’d just come out of college and some other guys who just weren’t good enough to tell you the truth, no disrespect to anyone. It just wasn’t good enough. I thought to myself, at my age, and the way my body feels, I can’t be running after channel balls I’m not going to get! I just took a calculated decision and retired. You’re now a coach and spent some time at the Watford Academy. How was that? It was interesting, it was a good experience. I have different ideas of developing kids. I think if you’re trying to develop professionals, there’s a certain way to treat them, there’s a certain way to be with them, so they can learn about being a pro. And I personally thought that at Watford they weren’t doing that. So in the end I thought it was best that I leave the academy. And maybe one day it could be a situation where some people who love the club and really want the club to do well will want youth to come through, and those people are willing to put their heart and soul on the line for the club. If someone like that takes over, then I would 100% want to go back to Watford because that’s where I want to be coaching. But under the current academy system, I don’t think that would make sense for me. Do you think it’s more the academy system or more the current owners at Watford? I don’t know the owners enough to talk about them. I’ve never sat down and spoken to them about it. I don’t know what they’re expecting from the academy. What I do know is that the people who are running the academy, the people who are head of coaching, the academy managers, from my personal point of view, I don’t know if these people have got their full heart in the club. Is it a job for them or is their heart in the club? Do they bleed Watford, do they love the club? I love the club so much that I feel that, people who bring the youth through must love the club and be part of the club and have some history with the club. Set up some dimension so players can come through. I don’t see that at Watford. I don’t know, it’s just my personal opinion, I feel they need a couple of guys who played for the club, who are now retired to go back and take over the academy properly and run it properly, the way it could be run. It’s probably going to get me a bit of stick now! You obviously have the club at heart, and there’s not a lot of players coming through at the moment. There’s no players coming through, none at all, and for me it’s not because they don’t have the players. If you watch the Watford youngsters, they compete with Arsenal, they compete with Chelsea, they compete with Tottenham. All the top teams. That’s a question mark. Why are there no players coming through? When I was growing up, I know times were different, we weren’t in the Premier League, I understand all these things. But there should be one or two players who are good enough to come through in my opinion. And I don’t know if that standard is being met. And if the people running the academy even know what that standard is? Can they develop coaches to coach players to that standard? I’m not sure about that. I think there’s guys out there like Micah Hyde who could come and take over as the head of the academy and run it properly, Allan Smart, Tommy Smith, myself, players who know the club and love the club, who could go back and really do something with the club. But I don’t know, I wouldn’t know where to start! I’m a coach educator for the PFA. I go into clubs and deliver Level 2’s for the scholars and run them through the course. And do courses like the B licence and stuff like that. That’s what I’m doing right now. My dream is to be a full time coach in a club. There’s a few guys I played with, we’ve all got dreams of being managers or assistant coaches, it’s trying to climb that ladder to get to where I want to get to.